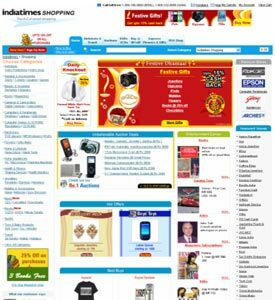 Indiatimes.com is the largest e-commerce site in India, having launched in 1997 with a vision of becoming the "destination portal for everything Indian." 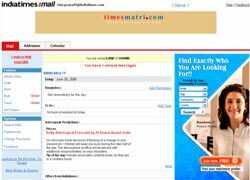 The site gets over 400 million page views per month and is the country's third largest online property, just behind Rediff and Yahoo. 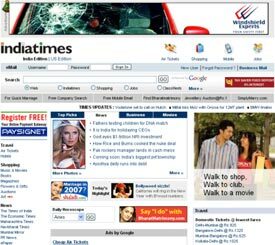 As traffic has increased over the years, however, Indiatimes.com and its 70 key channel sites swelled with new content and features. Even savvy users were unable to easily navigate these sites – which included email, movies, astrology, blogs, dating and chat, as well as e-commerce sites for travel, shopping and mobile value-added services. Moreover, the channel sites faced steep competition from all directions. 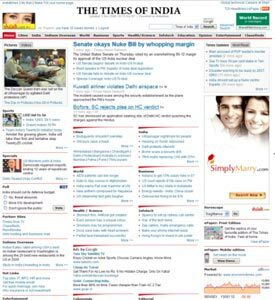 Indiatimes needed a major site overhaul to maintain its market edge, so the owners turned to HFI for user experience design expertise. 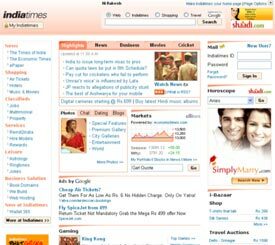 Most Indiatimes users couldn't recognize the 70 different websites as being connected to one another. Inconsistencies in navigation and design made it difficult to move from one to another. Within sites, the organization of content was inconsistent and often confusing. As a result, users were migrating to competitors' sites that had fewer offerings but better usability. HFI evaluated Indiatimes' existing sites to understand the inherent issues and bottlenecks, then conducted extensive user behavior research, including over 100 face-to-face interviews in key Indian cities and remote sessions via phone. Special attention was placed on understanding the cultural issues and motivations of Indians and nonresident Indians. Based on this data and usability best practices, HFI recommended specific improvements for navigation, interaction, terminology, color, and layout. 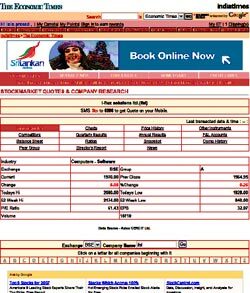 HFI also proposed a new information architecture for each site. The process was completed by creating and implementing reusable page design templates (or standards), which provide guidelines for navigation, interaction, and detailed design. These templates helped establish a uniform brand identity and ensured that future Web pages would be created with greater speed, less cost, and better usability. 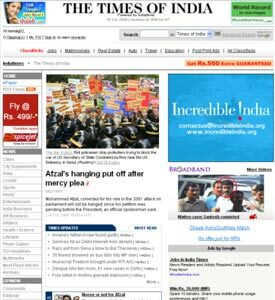 The redesigned Indiatimes portal now presents content and applications in an intuitive, consistent, clutter-free way. 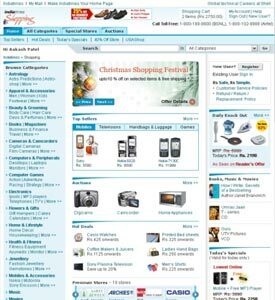 Users can easily find articles, audio-visual content, opinion-gathering tools, and special offers on redesigned sites. 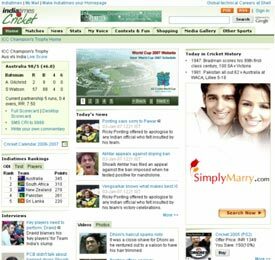 They can also navigate seamlessly between different Indiatimes websites, which is crucial to expanding awareness and developing brand loyalty. An online survey showed that users greatly appreciate the new navigation, clarity of visual design, and breadth of content available. 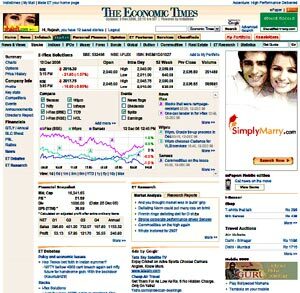 Preliminary data gathered by Indiatimes confirmed an increase in page views and visitors (20-35%), plus an increase in click-through-rates and revenue from Google ads (50%). HFI and Indiatimes plan to move beyond traditional usability research and launch studies using HFI's PETscan methodology. This new approach assesses how Persuasion, Emotion and Trust affect users' online decision making and interactions. business is no longer the domain of a company; it is the user's demand for uncluttered content that has paved the way for the evolution of usability on the Net. 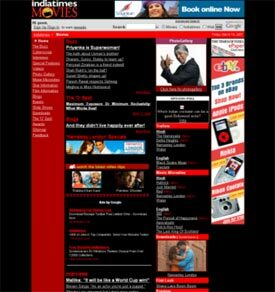 The new look of Indiatimes.com and its associated sites reflect this philosophy. It will redefine the way we do business and the way users can navigate with ease, get credible news at a glance, and transact with trust and confidence." 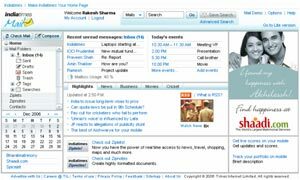 By collaborating with HFI, Indiatimes is putting users first – and successfully navigating the waves of change. Enhanced user experience by providing tools like Upload Video/audio, embedded media player, Webcasts, Podcasts, Live Interactive Graphics, etc.